'Mood Indigo' Ellington was a master at creating an element of surprise in his compositions, and the unique instrumental voicing on this standard is an example of his subtle sophistication. Recordings Used: Original 1931 recording of "Mood Indigo;" 1951 remake from the Sony album "Ellington Indigos"
Legendary big band leader and jazz pianist Duke Ellington. Duke Ellington liked to give the impression that his every move came effortlessly. Here's how he claimed to have written "Mood Indigo." "I wrote that in 15 minutes while I was waiting for my mother to finish cooking dinner. " The tune that Ellington originally titled "Dreamy Blues" was first recorded on October 15th, 1930. The theme is an almost textbook exercise in subtle sophistication, and Ellington's voicings of the instruments that played it were nothing less than a radical new innovation. The blend of Arthur Whetsel's muted trumpet, "Tricky" Sam Nanton's trombone and Barney Bigard's clarinet created a distinctive melancholy. Composer and jazz educator David Baker explains one of the ways that Ellington broke new ground in music. "Sometimes, to create surprise, he would take that sound that you expected to be in that instrument and put it in another instrument, and that's where the genius and magic comes. Well, for instance, the sound of "Mood Indigo" where everything's all upside-down, the lowest instrument is on the top. That's calculated." "Mood Indigo" is credited to Duke Ellington, Barney Bigard and Ellington manager Irving Mills, who probably did nothing but get the song published. But writer and jazz historian Will Friedwald says someone else deserves credit for part of the melody. "The derivation of the song supposedly, according to Barney Bigard, began with his clarinet teacher, Lorenzo Tio. Bigard told the story that Tio showed him some melodies he had been sketching. They weren't fully developed. And one of them was something that Bigard thought had some possibility. So he played around with it, he developed it and that was then presented to Ellington at a recording date and Ellington liked it and what he wound up doing was developing the part that had come from Bigard and from Tio." That's the part where Barney Bigard's clarinet solo begins. And on top of that, Ellington wrote a whole other piece of music. What's remarkable is that it's almost impossible to tell where Ellington's part of the composition breaks off and his collaborator's part begins. Ellington was a master composer who wrote many of his classic compositions by himself, but he could also be inspired by pieces of melody brought to him by band members. "Irving Drake described Ellington's orchestra as a musical kibbutz, in that it was this kind of collective. There were, say, you know, five or six really talented composers apart from Ellington in that orchestra and often, you know, they worked with Ellington in developing his tunes and he would work on developing things that they came up with, and there was a lot of back and forth in it. To a great degree, they were credited and compensated and to a certain degree, they were not." Incidentally, one name that gets lost in the credits for "Mood Indigo" besides Lorenzo Tio is lyricist Mitchell Parish, best remembered as Hoagy Carmichael's collaborator on "Stardust." Parish put words to "Mood Indigo" in the 1940s, and Ella Fitzgerald had one of her biggest hits with it in 1958. By then, Duke, who could spin great stories as easily as he wrote hit tunes, had been regaling reporters for years with his own version of the tale. He said: "Mood Indigo" is just a story about a little girl and a little boy. They are about eight and the girl loves the boy. They never speak of it, of course, but she just likes the way he wears his hat. Every day he comes to her house at a certain time and she sits in her window and waits. Then one day he doesn't come. "Mood Indigo" just tells how she feels. Duke Ellington's band was on the road almost 300 nights a year for more than four decades. And even a band that saw many personnel changes could get awfully tired of playing one of their greatest hits night after night. But Duke had several ways of heading off boredom and nipping any possibility of a perfunctory performance in the bud. "He kept them fresh by constantly rewriting them, by finding new ways to play them," Mr. Friedwald says. "Every few years or so, he would come up with a new arrangement of 'Mood Indigo' or any one of the major tunes. So they never did sound like they were just running through, you know, an old hackneyed thing. He would always keep it fresh and lively and musically valid." 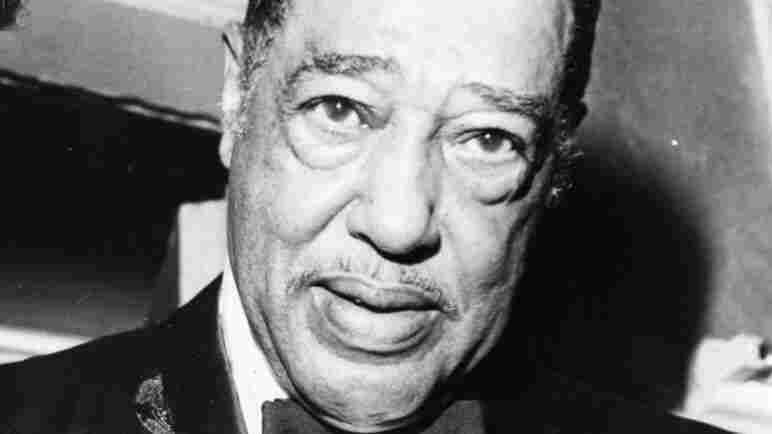 Duke Ellington is often called the first jazz composer, but he hated the word `jazz,' which has its origin in bawdy street slang. Besides, Ellington resisted any attempt to pigeonhole his compositions. When Ellington gave praise to any art or artist, he usually described them as being, quote, "beyond category." That could be said for almost everything Duke Ellington ever wrote, but especially about "Mood Indigo."